A custom crafted deck dramatically enhances any outdoor living space as well as drives the entire property value up. It is a great place for family cookouts and summer block parties. It is essential to hire a professional carpenter to install your deck to ensure that the job has been completed properly and your new deck last for decades to come. Every great investment or asset requires timely care and maintenance. This will maintain its beauty and extend its lifespan. During the cleaning process, should you find any damage or other issues, it is best to call in professional help for immediate repair. A professional contractor will seal your deck upon installation to protect it against mildew and mold. These fungi grow rather rapidly and can get completely out of hand, if left unattended. Recommendations may vary; however, the general consensus is that your deck requires a thorough cleaning around every third month. If you reside in an areas of high humidity, you might consider doing this more often. It helps maintain not only its beauty, but its durability. Weather element can sometimes be very brutal and unforgiving to wooden structures. Thoroughly sweep it making sure it is free of all debris including pine needles, dry leaves, and dirt. There are both harsh and natural deck cleaning solutions available at most home improvement stores. Only use that which is recommended for your specific type of deck. Regardless of which type you choose wear protective gear such as safety glasses and rubber gloves. Use plastic sheeting to cover all plants growing in the vicinity. A pressure washer, garden hose, or disposable broom can be used to apply the solution. The actual scrubbing may be accomplished by hand with the same broom or using a pressure washer. The best scrubbing method for pressure washing is to use a mowing stripe motion. This will help remove all of the mildew, gunk, and caked on dirt. 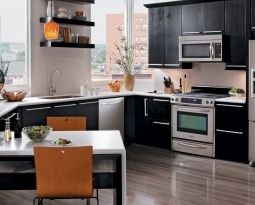 A little more elbow grease may be required for areas that are heavily soiled. Using too much force while scrubbing may mar the wood. The pressure washer may be filled with cold water to rinse the solution off the deck for approximately 15 minutes or more. If you used a garden hose to apply the cleaning solution, you can use it to rinse as well. Note: Do not forget to completely rinse the plastic sheeting protecting your plants. Read all of the caution labels before opening the cleaning solution. If the chemicals should come into contact with your eyes, seek medical attention and heed the previously read warning labels. Cautions apply to all types of cleaners whether they are toxic or completely natural. Your deck must be allowed to air dry naturally for no less than one whole day or 24 consecutive hours. It is a good idea to check the local weather prior to beginning cleaning or maintaining you deck. If the wood is not allowed to dry completely, you could damage the wood beyond repair. Many home owners who are also do it yourselfers are completely comfortable resealing their own decks. 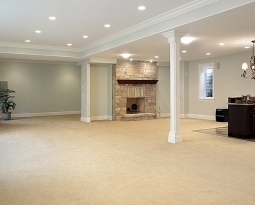 The 24 hour drying period is absolutely essential before applying any type of sealant. The pressure washer can make it much easier to remove any old sealant, if necessary. It is important that the sealant is completely dry before replacing the outdoor items on your deck. No carpentry company knows wood better than the professionals at Stark Builders, Inc. Call us anytime to schedule an appointment. 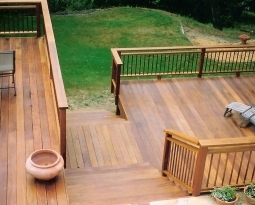 We would be delighted to come out and maintain or reseal your deck. We understand that you have more important family matters to attend to.